Squirrel Mountain Fiber Arts offers a variety of hand dyed wool and silk products. 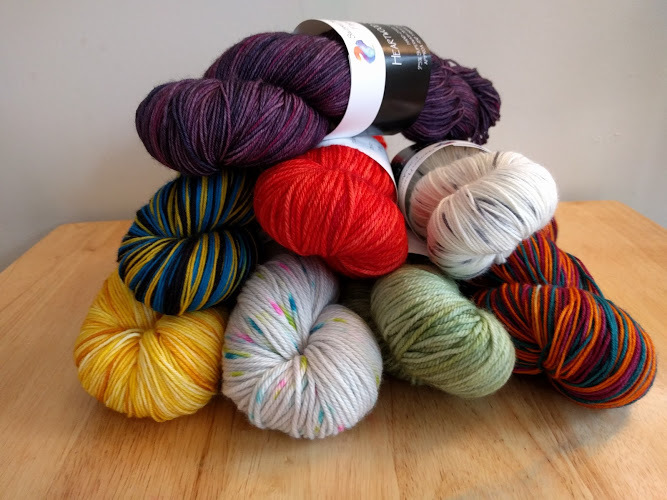 I offer a range of yarns, from hand dyed, locally sourced and spun alpaca, to "Just Add Needles" knitting kits, as well as superwash merino blend yarns dyed with heavy-metal free dyes. Not a knitter/crocheter/weaver? Handmade felted ornaments made from local wool are also available.